This pedal features a hot-rodded classic circuit that roars with huge amp stack tones and old school distortion with a Crunch switch to boost harmonic content. 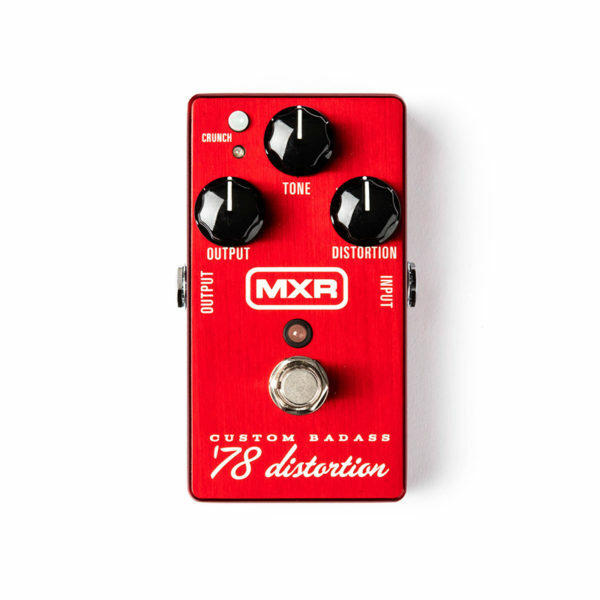 The MXR Custom Badass ’78 Distortion is a factory-modded pedal that roars with huge amp stack tones and old school tube amp-like distortion. The ’78 Distortion’s wide open amp-like sound sounds great whether it’s in front of a clean amp, a slightly dirty amp, or a full on overdriven amp. Under the hood, this high performance machine features top notch circuitry and hardware meant for a lifetime of use.